AKIPRESS.COM - 29-year-old artist Azamat Janaliyev from Issyk-Kul region created an unusual portrait of Suimenkul Chokmorov, a Kyrgyz film actor. 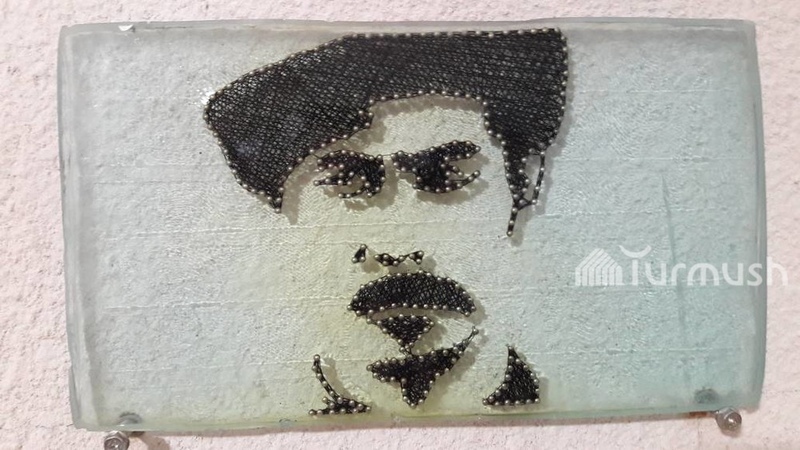 The portrait is made of nails and string on a glass. The length of the glass is 30 cm and width is 20 cm, he said. He pays special attention to this portrait because of its uniqueness. "I've never seen anything like that when a portrait was made of glass and nails and string," he said. The portrait will be fully finished in 10 days, says Azamat.